Arvada Work Group: Meets 2nd Thursday of the month from 9:30 am to 2:00 pm Meets at the King of Glory Lutheran Church 10001 W. 58th Ave., Arvada (58th and Kipling-east door) Contact Glenda: colokidz@aol.com. Bring a potluck dish, your machine and scissors. For many years Nancy Staup and Carol Criswell of Brighton were the engine that made WHWB run. As 2011 came to a close, they decided to scale back their involvement and ” just run” a workgroup. That meant no more 24/7 days at the Baby House and gave them time to try and enjoy other parts of their lives more. They haven’t “retired” and still run the Brighton workgroup… along with many other functions that are slowly moving to Arvada. The Arvada work group was the logical choice to take more responsibility. Glenda Bredeson (the workgroup coordinator) wanted to help but had a problem, she doesn’t drive. 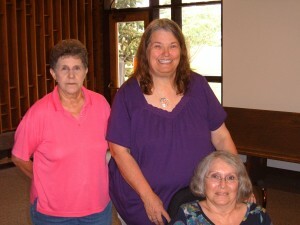 Fortunately, Glenda’s husband, Theron, had retired in June 2011 and was “volunteered” to help. They soon learned just how much work was done at the Baby House each month. The WHWB leadership began searching for a location in Arvada. After exploring many options that were too small, too hard to access, just not workable or too expensive… one of those guiding angels took over. Jean Jones, a relatively new volunteer in Arvada was at a car wash as she had been many times before , when a “For Rent” sign caught her eye. It seemed perfect …only a mile from Glenda’s house, an easily accessible location in a friendly neighborhood, the size and design would work well. Our landlord Rick , liked the mission of WHWB and deducted part of the rent as a charity deduction. THANK YOU RICK!!!.. Next…THE MOVE!! Friends sometimes disappear when they find out you’re moving. Not with the Babies!! Theron asked a former driver of his race car, Michael Anderson, to borrow his trailer. Michael brought the trailer and himself to help. Nancy Staup brought her neighbors, Glenda recruited brother Steve Patton and WHWB husbands Chris Criswell, Fred Staup and Theron helped. So on a chilly, sunny day in February 2012 he move was made. Did I mention, there was snow on the ground? Steve Patton used his carpentry skills to assemble work counters and build the shelves for batting. 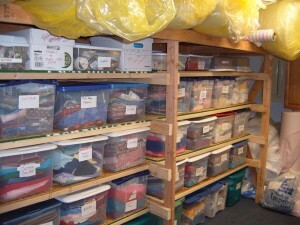 Later on, Bob Jones (yep another husband) and his son-in-law donated and built storage shelves for totes. Fran Hindman donated ping-pong tables , now used as work tables. Marie Kidd donated bookcases ,a desk and decorated the bathroom. THERE ARE MORE…TOO NUMEROUS TO MENTION…Thank You ALL!!! The primary workforce each week is Glenda Bredeson, Marie Kidd, Jean Jones, and Evelyn Rudiger. Rosalie Gaccetta, also donates time on her days off. Different volunteers are asked to come each week…AND THEY DO!!! Each month donated items ( believe me there are a lot) from Arvada and Brighton are sorted, inventoried, assembled into layettes and delivered to 20-25 organizations. 4,000 to 5,000 individual items are delivered each month. Primary delivery persons are Carol Criswell, Nancy Staup, Carole Rothrock, Evelyn Rudiger, Judy Swens, Linda Posey, Marie Kidd and Theron Bredeson. An Arvada P.O. box was established to help relieve Nancy Staup of handling the numerous packages received each month. Some items such as bottles and toiletries are needed in such numbers…they must be purchased. Also, at least twice a year, large amounts of batting and fleece (on sale, of course!) are purchased, picked up and stored. Theron Bredeson provides the transportation and physical energy to get this done. The WHWB “The Baby Cryer” Newsletter editors , Laurie Balzer & Lori Kratzer are also part of the Arvada group. Also our website manager, Theron Bredeson, is a frequent visitor to the Arvada Baby House. Well, there you have “the rest of the story” about the Arvada Baby House. Thank You to all who get the job done in Arvada. It’s impossible to mention everyone’s name but believe me… YOU ARE APPRECIATED. 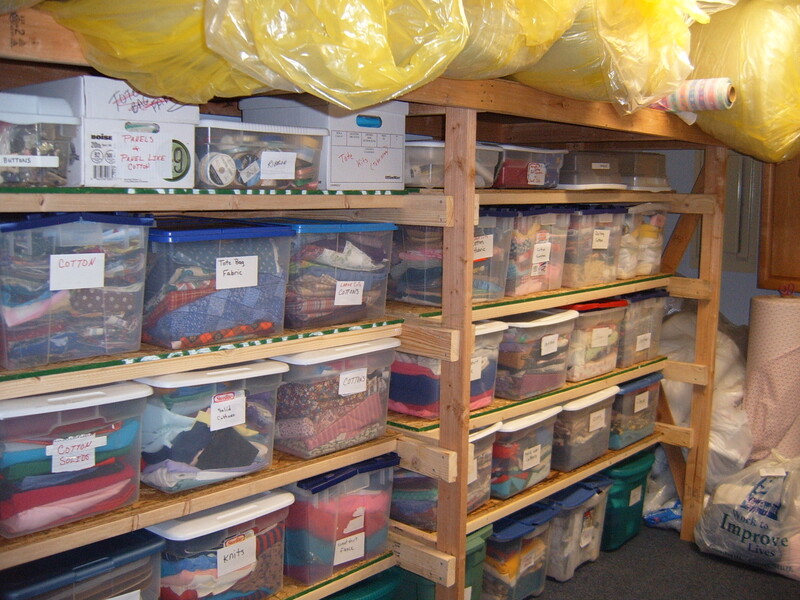 Below is part of the Arvada Baby House supply storage area.